So even though my house is over run with cute little people, I decided it would be a good idea to load a huge quilt on the frame. Remember the Sea Sick top? Yeah, it still makes me feel a bit queasy. Anyway, I had to get some labels embroidered for the QOVs I had to present which required babysitting the embroidery machine. Luckily I had some help. This boy is obsessed with all mechanical things! When he had enough of that, he started some artwork of his own. I pulled out a couple panto options. With this crazy top, nothing will really show much anyway. Back to my babies! Have a great day! 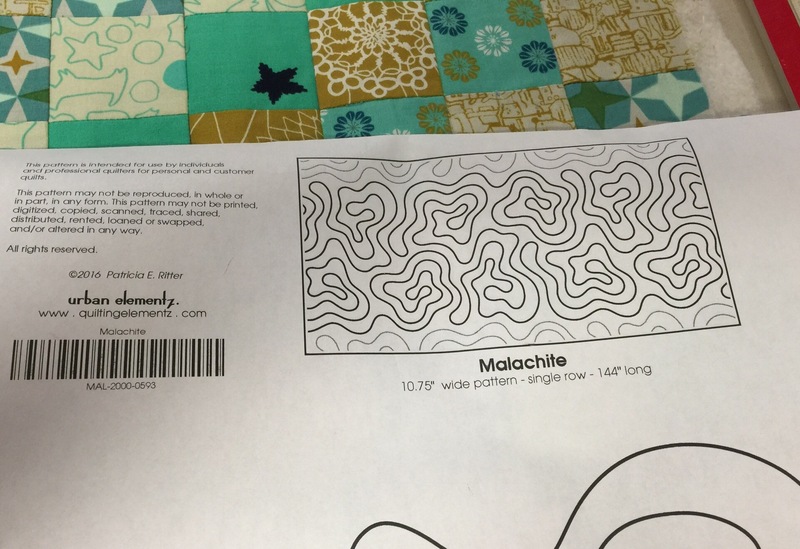 This entry was posted in Long Arm Quilting, Longarm Quilting, Pantographs. Bookmark the permalink. 7 Responses to A Little Crazy…. That’s one of several reasons I’ve never made this top and have no plans to. LOL. Curious which panto you picked. Your helper is adorable! 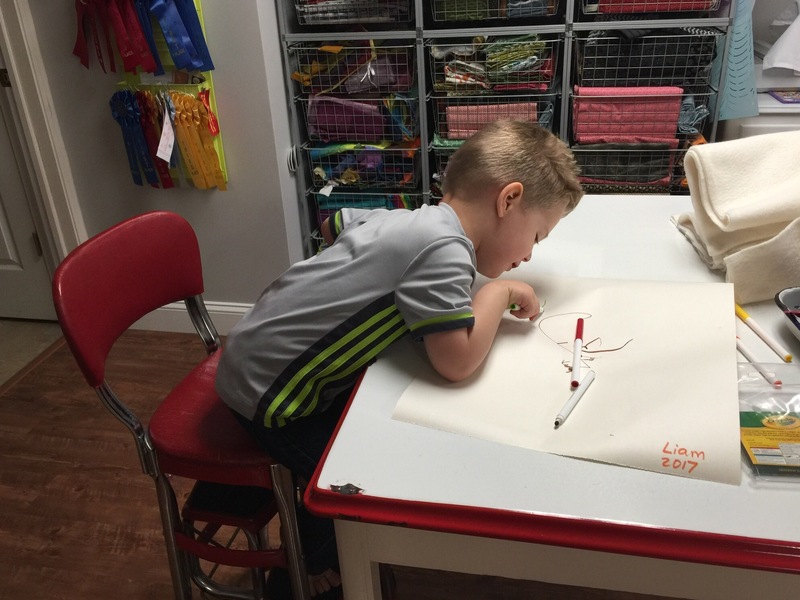 I myself can sit and watch an embroidery machine for a long time, so I understand his fascination, especially if he likes mechanical things. I have one of those DGSs – could watch a machine for hours. Like the first panto. I love this quilt, Katy! 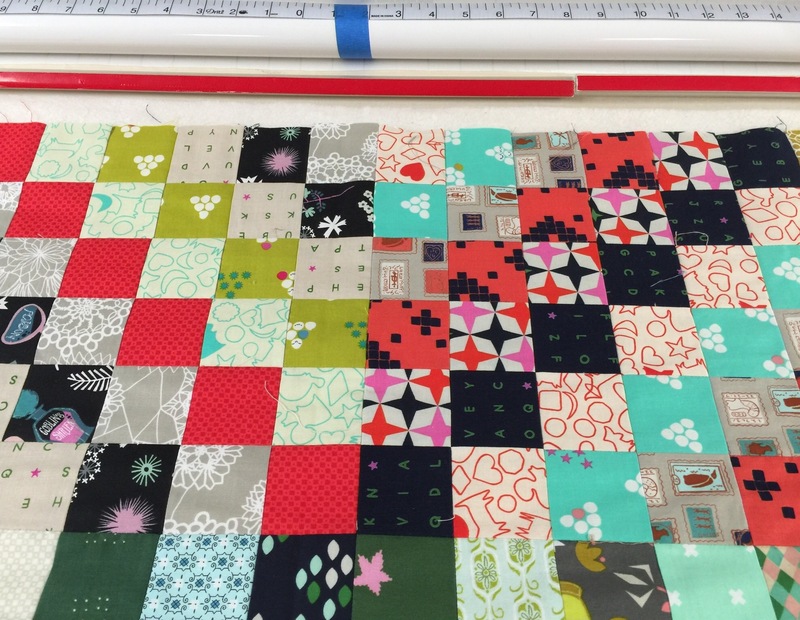 So much scrappy goodness, and I am looking forward to seeing it all quilted. I remember my family having a stool just like the one your grandson is sitting on…ours was yellow, and I loved sitting on it!! Great memories, for sure! Enjoy all this family time! I still like the seasick quilt, and either quilting design ties in with that name. Haha! Fun to see how fascinated your grandson is with the machine. The red stool reminds me of one that my grandmother had. It was almost the same design and it was red too — all of the grandkids fought over who would get to sit on it. Wish I still had it, but we wore it out. Enjoy your time with those littles! 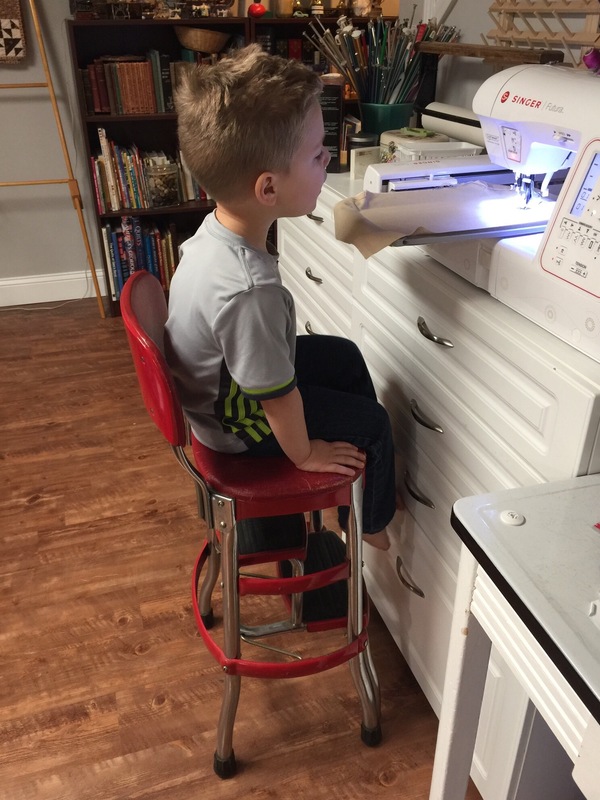 When my grandson was about that same age he loved watching my embroidery machine too. He would alert me when it needed a thread change. 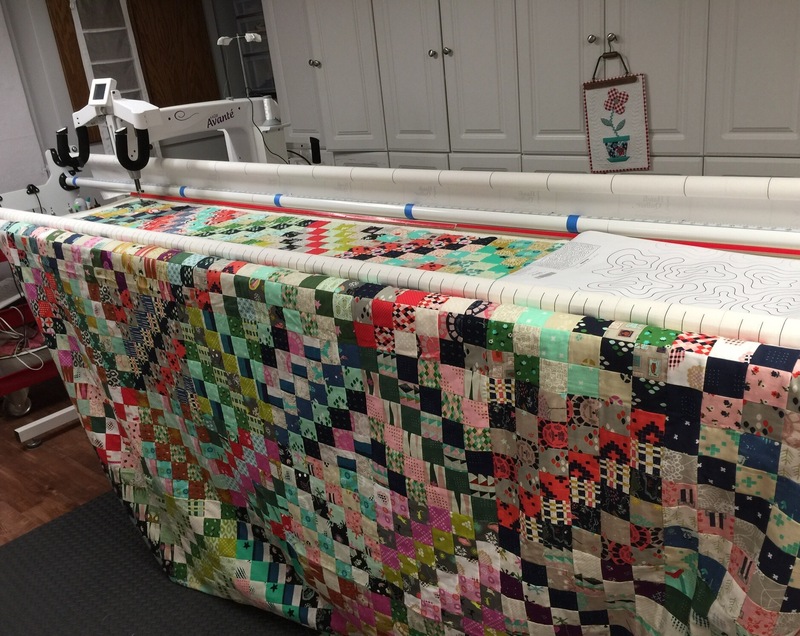 Your seasick quilt top looks great! I’m sure however you quilt it, it will look amazing. It’s cute to see him so interested in watching the machine do its work. What a cutie pie! I think the seasick top is great and I think that Malachite panto is perfect. It sort of carries your “wavy” theme of seasick. I don’t have any “modern” fabrics right not, but you have inspired me to pick up a few charm packs and give it a go!